The 80 inch 10 drawer Garage Workcenter and Side Locker unit is a heavy duty, 19-Gauge steel, 3 piece tool storage unit that is rated for 2,500 lb. loading capacity. The 24 inch deep chest features a garage lid that lifts up and slides into top unit as well as a pegboard and thick mat for a large workable area. This 3 piece unit also features 10 drawers and side locker creating 84,025 cu. inch of storage capacity.This unit is equipped with 100 lb. rated soft closing slides. Premium drawer liners are included. The built in full length power strip includes 8 outlets and 2 USB ports in top cabinet and 6 outlets and 2 USB in side of bottom cabinet. Also included is a rechargeable magnetic LED work light. This light charges via a USB connection, has 3 light modes, and produces up to 360 lumens. The side locker bolts on to the side of the unit and is 19 inch W x 21 inch D x 71 inch H.This toolbox weighs in at 711 lbs. This unit has eight 5 inch x 2 inch heavy duty industrial grade casters. An upbeat, cool look that's not just for school anymore. This Teen Trends storage locker can be bunched and has a removable hanger rod and adjustable shelf included. 4 cool color versions are available. Made from industrial strength powder coated square tube, bar stock and sheet steel in Teen Trends silver finish with decorative powder coated door color. Some assembly required. 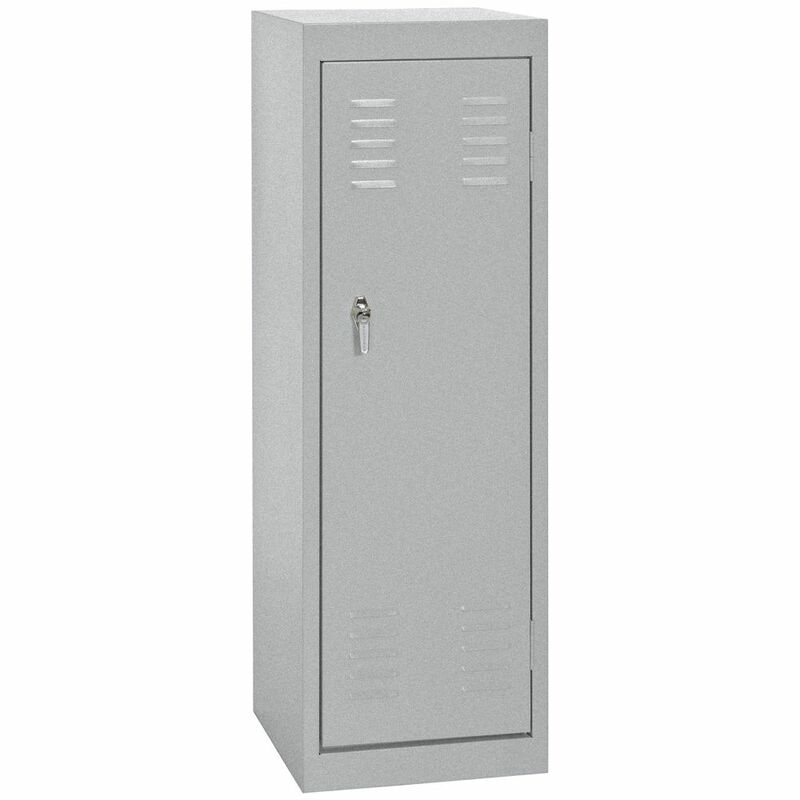 15 Inch L x 15 Inch D x 48 Inch H Single Tier Welded Steel Locker in Multi Granite These designer steel lockers are built to last and feature cool colours that kids and teens will love. Great for storing school supplies, books, back packs, clothes, shoes and much more. All lockers are Greenguard Certified.